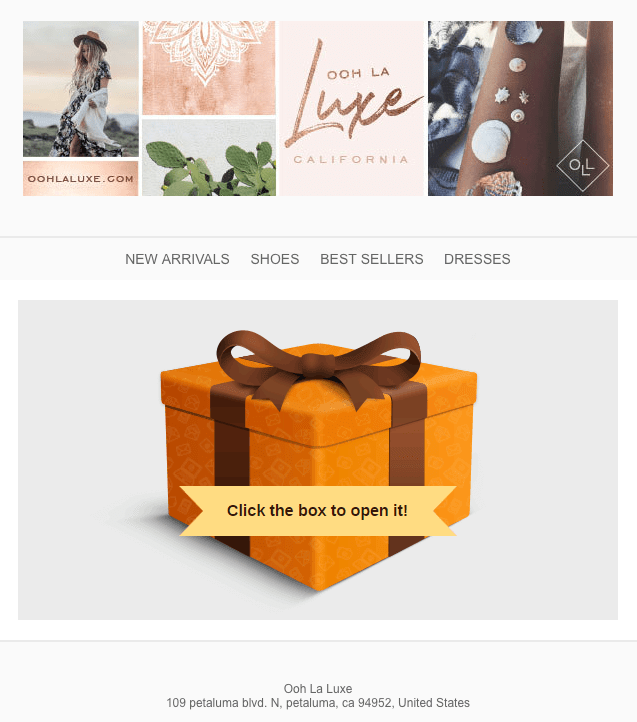 One month ago, Omnisend launched a brand-new feature to increase the click rate for an email campaign: Gift Box. More than 200 early birds have already tried this feature. Check out the examples of the campaigns using Gift Box, the first results, and what feature improvements have been made for people to experience it even better! Two hundred online stores are not enough for statistics. However, we were curious about how Gift Box affects the click rate of email campaigns. For now, it seems that the average click rate is more than six percent of all recipients. For some brands, the click rate has doubled, and for others it increased more than seven times! So, it’s obvious that Gift Box has met our expectations and is worth further upgrades. Use Gift Box to welcome new subscribers. This will give them a good first impression about your brand. Include a discount inside the box and you will be pleasantly surprised how fast it will convert subscribers into customers. Include Gift Box in birthday emails. Give your subscribers real presents on their birthdays! By the way, recently Omnisend launched new forms that enable you to collect birthday data. Take advantage of them. Use Gift Box in your order follow-up emails. Some retailers use an automated order follow-up email to thank a customer for their previous order and to give them a small incentive the next time they come to buy. If you do this as well, you can wrap your discount into the Gift Box to please your customers. Taking into account your feedback, we have simplified how to set up Gift Box. All subscribers will now receive the same gift. You can choose whether that is free shipping, a discount code, or some giveaways in addition to their purchase. Last but not least, additional Gift Box color themes have been added. Now, you can better match your brand colors and newsletter concept. Gift Box may be used in different positions in an email. Many clients have sent one with only a short note, like Oohlaluxe.com. So, give Gift Box a try if you still haven’t used it! This feature is available for all of our premium users and for all newcomers for a 14-day trial. Sign up now! THE WHEEL OF FORTUNE HAS COME TO Omnisend! In addition to our re-launched signup forms, Omnisend is introducing a new type of interactive signup form – the Wheel of Fortune. 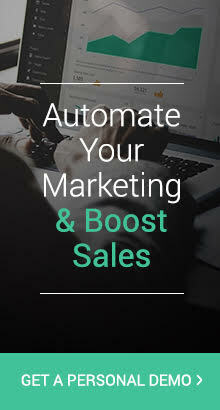 Gamification and innovative approach will boost your email list significantly. Don’t wait and try it today! New Content Editor: Faster. Better. Nicer. Smoother.